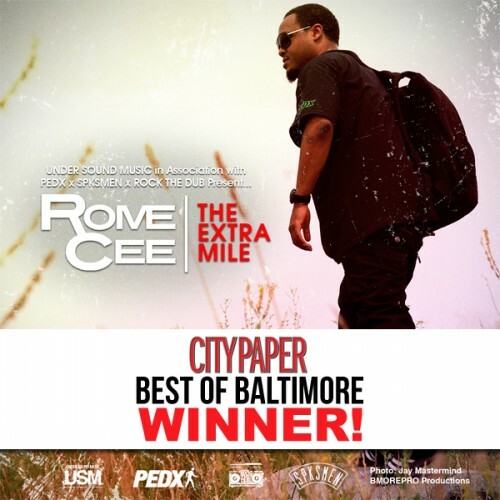 Rome Cee’s stellar album, The Extra Mile continues to still garner attention. This time it’s been picked by the readers of Baltimore’s City Paper for best album in the publication’s yearly Best of Baltimore edition. Check it out here. I guess this should be no surprise as it’s one of the most solid Hip Hop albums out right now, but I do love to see how much support Rome has gotten. He’s got a great fan base and it keeps growing. I personally want to thank everyone that was responsible for getting the album recognized. Thank you all for your support! Also, check the latest interview with Rome Cee on True Laurels.